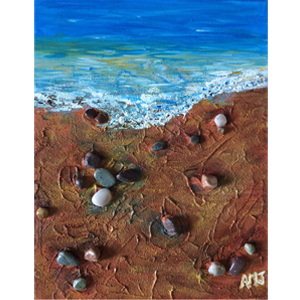 Original (sold): 11" x 14" Acrylic, sand, and pebbles on stretched canvas. When walking on the beach, I enjoy looking down at the sand and watching the water run across the rocks back into the ocean. The patterns and the sound are captivating. 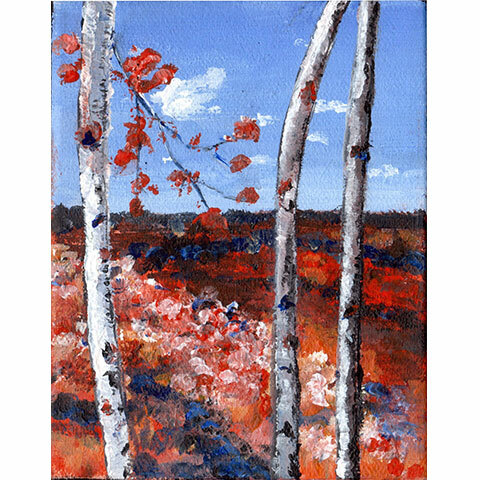 I've really enjoyed using the sand with acrylic medium to create texture.